Bong. Here is the news. Terminology changes - In admin, “Discount” is now “Concession”, “User Status” is now “Customer Status”, “Role” is now “Operator Role”. No changes affect sales. Donation Declaration Status is now in the Delivery XML source. Basically, this means that we can include a Gift Air thank you in a confirmation email now. Installation routines now configure IIS to recycle application pools when too much memory is used, but too much memory is no longer being used, because the memory leak is fixed. Made AccessControlScanners not a separate object but a property of the Scanner user. Duplicate customers report improved. It now has variable sensitivity, and links from the report to merge / never merge functions. 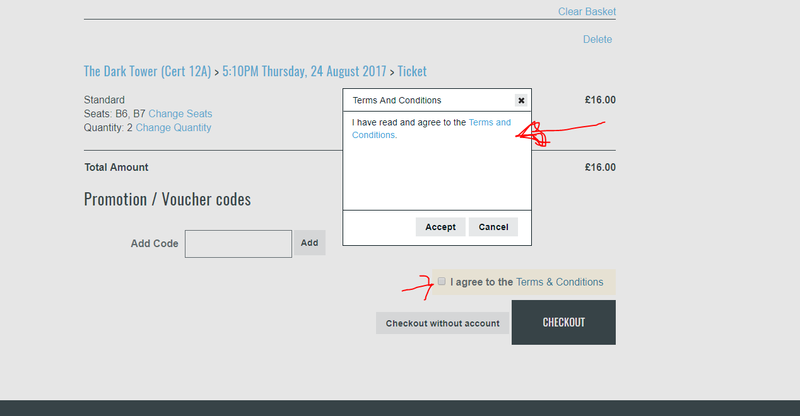 Terms and conditions checkbox turned into a popup. Time was, if you pressed checkout when the T&C checkbox wasn’t checked, you got a little validation error. 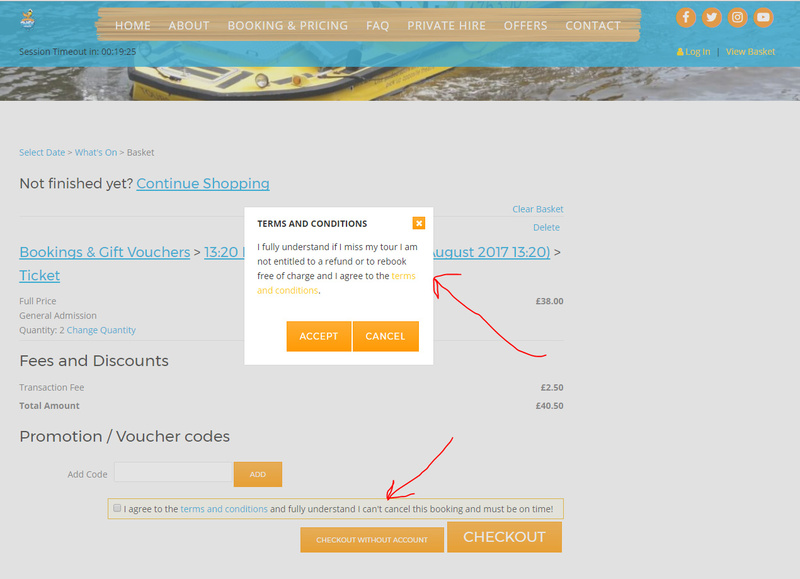 Then someone asked for the checkout button to be disabled instead, so you just can’t click it until you’ve accepted the T&Cs. Which seemed sensible so we did that. Then we watched Hotjar recordings of people trying to click on a disabled button over and over and over again until we wanted to cry, despite there being an obvious tick box just above it, so now the tick box is still there, and the button is enabled, and if you click the button before you’ve ticked the box, you get a nice popup which you can accept the T&Cs with. There’s also scope there for having longer T&C text. Breadcrumbs for Waiting list pages (marketing list signups) now work. Persistent Logins now ON by default for public. If you log into the site, add items to the basket, and go off for a cup of tea for 5 hours, when you get back your session will have ended and the items be gone from your basket, but you’ll still be logged in as yourself. This should be of particular benefit to members who will see membership prices and product availability without having to remember to log in first. but a tiny glitch crept in at the last minute and they’re basically just switched off for everyone. Yes, persistent logins don’t work. Will be coming next week unless anyone wants an unscheduled update in the mean time, in which case, let us know. I’m editing the original announcement now. Ooo - longer T&C text… Would that give us scope for adding a prompt about Age Certification Restrictions, so that people no longer claim ignorance about film certs and their implications whenever we challenge them for ID? and the popup has more room and can have different text to the checkbox. but that isn’t sensitive to what’s in the basket. 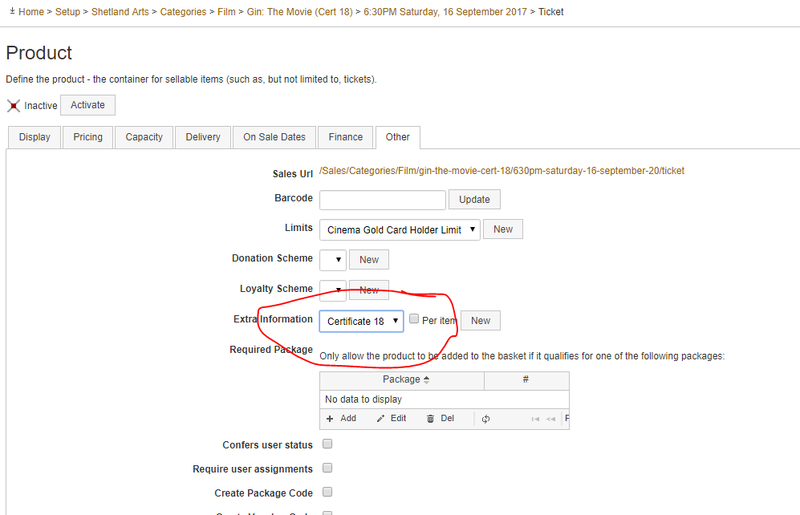 If only it were just cert 18’s we got quibbles over life would be much simpler… but I can get them set up for each cert and we can apply it to the films that are likely to be trouble.